March 7 - Ellen Gandy (pictured left) won the women's 200 metres butterfly at the British Gas Swimming Championships in London ahead of British rival Jemma Lowe at the Olympic Aquatics Centre to meet the qualification time for London 2012. March 7 - Yohan Blake (pictured right, sitting), the world 100 metres champion, believes his home nation of Jamaica are on course to set a world record in the sprint relay at London 2012. 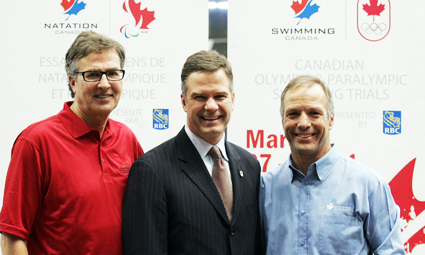 March 7 - Swimming Canada has announced a historic partnership with the Canadian Olympic and Paralympic Committees ahead of the London 2012 selection trials. March 7 - Jade Jones left Hamburg with mixed emotions after winning Great Britain Taekwondo's fourth medal of the German Open, where all the leading members of the team were competing save world champion Sarah Stevenson, who is recovering from an operation on her cruciate ligament. 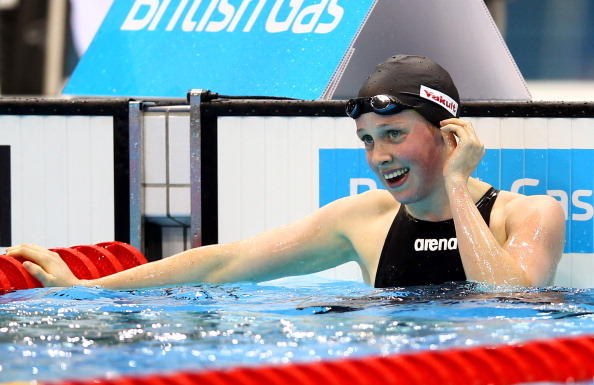 March 6 - Hannah Miley (pictured) continued her superb showing at the British Gas Swimming Championships here as she secured her second gold of the competition, which serves as the trials for the Olympics and Paralympics, with victory in the women's 200 metres individual medley. March 6 - Canada's top-ranked rhythmic gymnast Mariam Chamilova (pictured) is set to miss out on competing at the London 2012 Olympic Games following a bitter dispute with Gymnastics Canada. 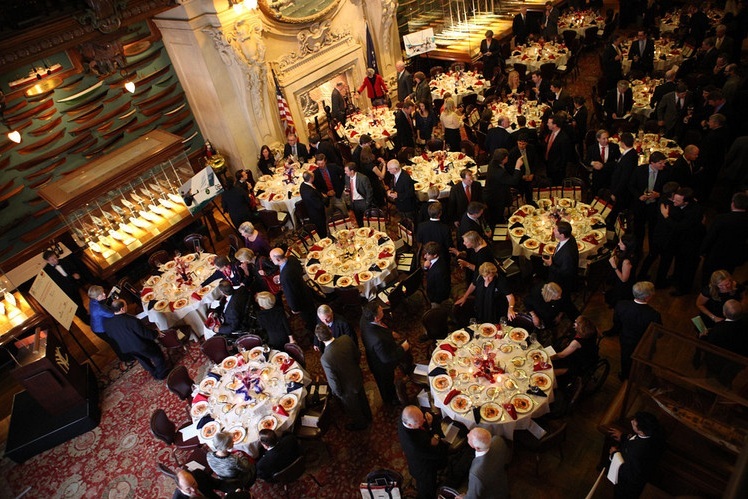 March 6 - The New York Sailing Foundation has raised $150,000 (£95,000/€114,000) for the United States Olympic and Paralympic sailing programme at the Golden Spinnaker Gala, held in Manhattan. 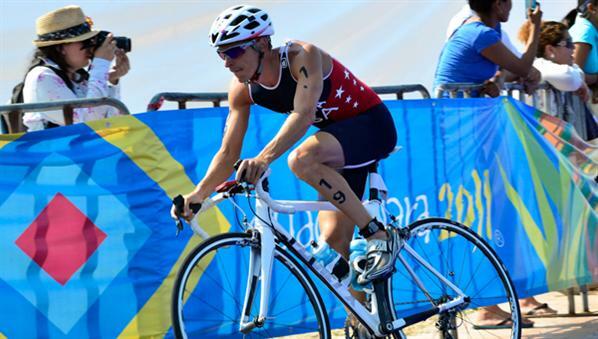 March 6 - USA Triathlon have announced their 2011 Elite Athletes of the Year, with Sarah Groff and Manuel Huerta (pictured) among those who were honoured. 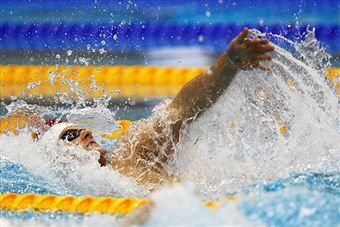 March 5 - Britain's Liam Tancock (pictured) unsurprisingly secured his spot the London 2012 Olympics as he dominated the men's 100 metres backstroke final to claim gold in the event on the third day of competition at the 2012 British Gas Swimming Championships at the Aquatics Centre on the London Olympic Park. 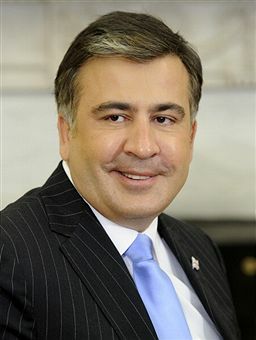 March 5 - Ukrainian-born female wrestlers Yana Stadnik and Olga Butkevych (pictured) have failed in their controversial attempt to represent Great Britain in the sport at the London 2012 Olympics Games. 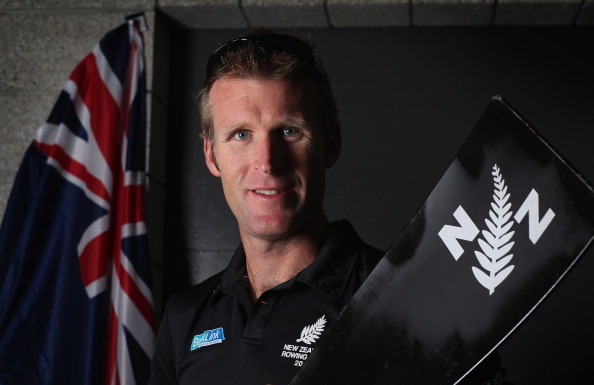 March 5 - New Zealand has selected its largest ever Olympic rowing team for London 2012, and with nine world champions in the squad there are realistic expectations of rich rewards at the Eton Dorney course. 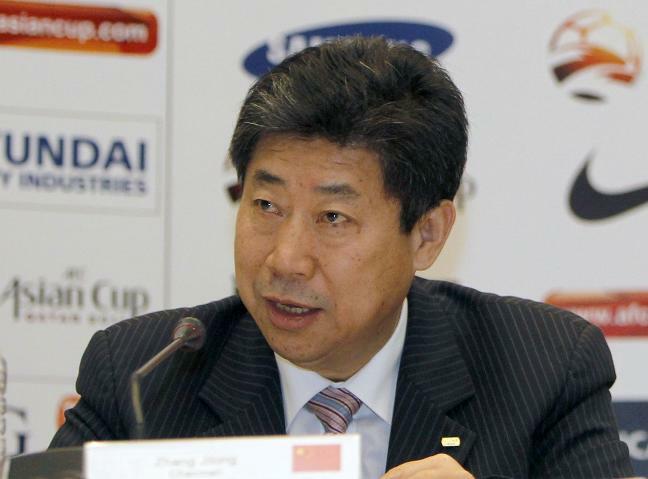 March 5 - Zhang Jilong (pictured), the Chinese acting President of the Asian Football Confederation (AFC), has welcomed the decision by the International Football Association Board (IFAB) to unanimously endorse lifting the ban on women footballers wearing the Islamic headscarf. 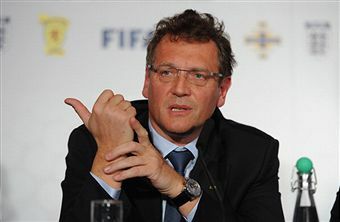 March 5 - FIFA general secretary Jérôme Valcke (pictured) has said that Scotland, Wales and Northern Ireland's Football Associations should embrace being a part of Team GB at the Olympic Games. March 5 - Britain's rhythmic gymnasts have won their appeal to take part in London 2012 after a decision by British Gymnastics not to select them has been overturned by an independent arbitrator, Sports Resolutions UK, which criticised the clarity of the qualification policy.